It is not easy to get rid of muffin top. The best way to tone muffin top is to lose weight. 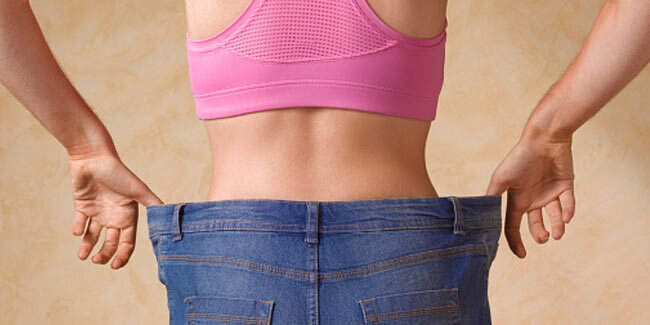 These 10 minutes muffin top workouts will do the trick. If you get irritated on the section of skin that rolls over the top of your jeans, also referred as ‘muffin top’, you’re not alone. But, there is no denying the fact that no matter how many sets of lower abs, obliques and lower lack exercises you do, it’s not easy to get rid of your muffin top. As it just fat, the best way to tone that section into oblivion is to lose weight.That being said, firming up the muscles underneath can help you feel better, look slender and burn and burn calories that will help you get the stomach of your desire. You can do that by trying these 10 minutes muffin top workouts. Below given are step-by-step guidelines for muffin top workout. All you have to do is first complete the warm-up, followed by each superset twice. For instance, do a full sets of exercise 1A then do a full set of exercise 1B. Repeat. Then move on to 2A and 2B. Lie face down on the floor, put your palms flat on the floor below shoulders. Inhale to press into palms and lift chest off the floor, pulling shoulders back and extending head toward ceiling. As you exhale, slowly lower to starting position. Do 5 reps. Lie face down on the floor with your palms flat on the floor, and forehead resting on fingers. Lift your chest while inhaling and extend arms backwards next to hips, fingertips reaching toward toes. Lower your chest as you exhale and return to starting position. Do 5 reps. Lie face up on the floor with your hands clasped behind your head and elbows pointing out to the sides. Slowly lift your shoulder and feet off the ground and bring your right knee in toward chest. Rotate torso to drive left elbow to knee. Switch, extending right leg, and driving left knee and right elbow toward center. Continue alternating. Do 20 reps, counting each side as 1 rep.
Next post: These Diseases Are All Caused by Microwave Ovens-and You’ve Probably Ignored Them!